The Constitution of the Republic of Kazakhstan allows the application of the death penalty for two categories of crime: terror attacks entailing loss of life, and capital felonies committed during wartime. Capital punishment is also applicable for 18 crimes listed in the Criminal Code of Kazakhstan. After the reform of the Code, approved by the parliament of Kazakhstan on 11 June 2014, another three articles concerning death penalty application were added, while two articles were abrogated. As a result, there are currently 19 categories of crimes punishable by the death penalty in Kazakhstan. On 11 June 2014 the parliament of Kazakhstan passed a new Criminal Code. The Criminal Code of the Kazakh Soviet Socialist Republic of 1959 (in force until 1998) contained 25 categories of capital crimes, including crimes against the state, homicide, and other felonies (mostly applicable in wartime). Article 22 of the Code defines death penalty as an extraordinary punishment and envisages the possibility of its abolition in future. Between 1994 and 1997 Kazakhstan halved its list of capital offences. This evolution falls in line with international tendencies and judicial reform, approved by the president in 1994, which humanises criminal law and creates preconditions for phasing out the death penalty. The revised Criminal Code prohibited capital punishment for women and minors (persons under 18 at the time of committing the crime), as well as persons over 65 at the time of handing down the punishment. In addition, the death sentence could not be given without the mutual consent of three judges trying the case, or less than a year after the sentence was passed. Moreover, the number of alternative punishments in cases of capital crimes increased. President Nursultan Nazarbayev officially suspended implementation of the death penalty in 2003, introducing a moratorium on the death penalty with his decree No.1251 of 17 December 2003. On 1 January 2004 life imprisonment was introduced as an alternative to capital punishment. This decision reflected the government’s political ambitions to ratify international treaties on human rights, as well as the Second Optional Protocol to the International Covenant on Civil and Political Rights, aimed at the abolition of the death penalty. Since 2002, the government has pursued the policy of phasing out the application of death penalty. In 2007 Kazakhstan amended its Constitution, restricting the application of capital punishment to several exceptionally grave crimes. Abolition of the death penalty would be a logical continuation of this policy in Kazakhstan, just as was done in two other Central Asian states, Kyrgyzstan and Uzbekistan. On 11 June, the Majilis of the lower house of Kazakhstan’s parliament, approved the Senate’s draft Criminal Code. Chapter 4 of the Criminal Code Crimes against Peace and Security now includes three new articles authorising the death penalty: Article 164 – application of prohibited means and methods of conducting a war, Article 165 – violation of laws and customs in war time, and Article 253 – international terrorism. Article 253 allows the application of the death penalty for an attempt at homicide perpetrated with the aim of disrupting public safety, intimidating the population, coercing the public authorities of the Republic of Kazakhstan, another government, or an international organisation into making decisions, or perpetrated with the view to starting a war or aggravating international relations. Moreover, this article envisages capital punishment for an attempt on a politician or another public person, perpetrated with a view to terminating their political activity, as well as for the taking of hostages and the seizure of buildings, vehicles, vessels, or other means of mass transportation. More specifically, Article 380 permits the application of the death penalty for abuse of authority in wartime by a commander or office holder, contrary to the interests of service with the view to deriving profits or benefits for themselves or other persons and organisations, or infliction of harm on other persons or organisations, if it results in the considerable infringement of rights and legitimate interests of citizens and organisations, public or state interests. The new Article 448 currently allows imprisonment for life as a supreme penalty. Article 380 made abuse of authority punishable by death if perpetrated in wartime, i.e. if a commander or office holder was responsible for the actions over and above their rights or powers, which entailed considerable infringement of the rights and legitimate interests of citizens and organisations, public or state interests. The new Article 449 currently permits the application of life imprisonment as a supreme penalty. Kazakhstan demonstrates a determination to apply its national law to its international liabilities, namely those arising from the Geneva Conventions and their additional protocols. How should such obvious application be interpreted? On the one hand, a list of crimes punishable by death was extended with three articles, which is contrary to Kazakhstan’s ambition to restrict the application of death penalty within 10 years. On the other hand, death penalty was made illegal for crimes which could be perpetrated by public officials, which can be seen as a desire to evade capital punishment. This reform is particularly worrying at the time when human rights situation in Kazakhstan has been constantly deteriorating for more than two years. 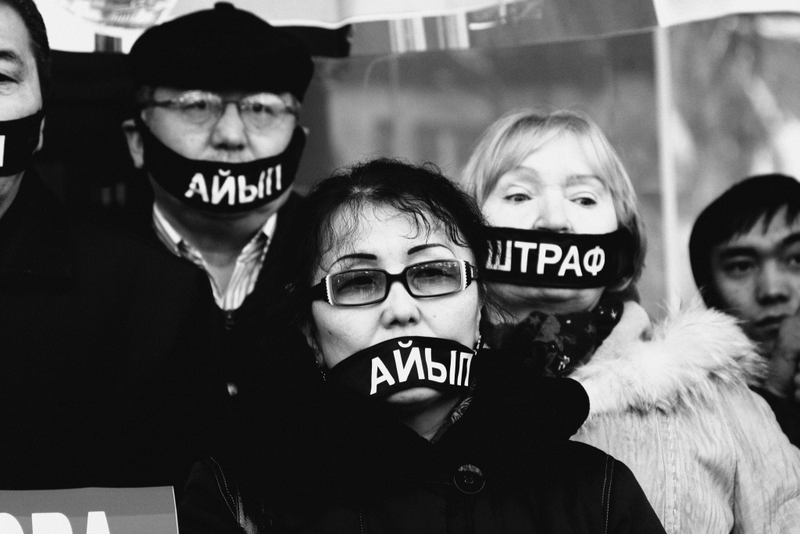 Open Dialog Foundation calls on Kazakh authorities to abandon any reform which would increase the number of crimes punished by death and to ratify the second abolitionist Optional Protocol to the international Covenant on Civil and Political Rights. Open Dialog Foundation encourages Kazakhstan to vote in December 2014 in favor of the Resolution on a moratorium on the use of the death penalty .